i have this friend, doris sander. she's an amazingly talented scrapper. it's the little details that really complete her layouts. she just has this way with embellishments. and she does these online classes. i took her very first one, and she's done several since. her newest one, product pizzazz 201, started this past monday. but it's not too late to join in. 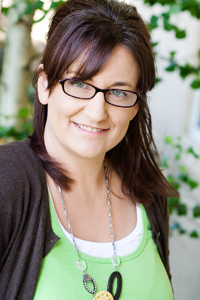 she offered me a free class pass to give away to one of my lucky blog readers. i told you she was pretty cool :) here's a few peeks to give you idea of what the class is about. 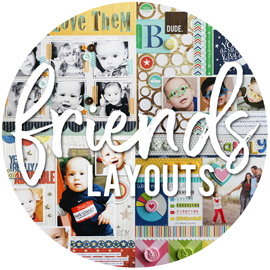 are you ready to add the “wow” factor to your layouts? surprisingly, it’s the smallest details that can have the biggest impact on your designs. 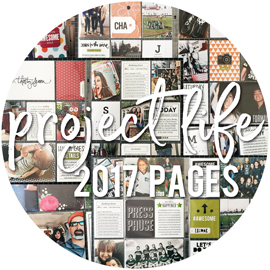 in Product Pizzazz 201, we’ll be polishing our layouts, taking them from fine to fabulous. you'll get your scrapbooking to the next level by using tiny embellishments, basic tools, and simple techniques. innovative ideas for incorporating those extra bits of embellishment on your layouts. tips for using basic tools and techniques to add structure and sparkle to your pages. ways to make journaling both easier and more inspiring. and the Use It Now! challenges to get you out of the classroom and into the creativity zone. please go and check it out, and consider signing up. also check out her blog. she's super funny and a good read too! but also make sure and leave a comment here, telling me what your number one, favorite embellishment is. then i'll randomly draw a name on saturday to give one of you a free class pass! alyssa celebrated her 13th birthday on sunday. i say this every single year. but i have no idea how another year has passed. lol! i still picture her as my little girl. walking around the house all dramatic, waving her hands around as she talked and pointing to things that no one but her ever saw. with her "cinderella" dress on almost every day, along with a matching headband. clickity clacking through the house with her dress up shoes. a little high pitched voice, talking our ears off about everything and about nothing at the same time. making up the craziest words ever, but using them in a way that made you believe they were real words all along. like "ackachie", which we still use to this day (meaning "tush"). being my perfect little model, and striking a pose whenever i pulled out my camera. which usually involved laying on the ground, and propping up her chin on both hands. wanting to be a doctor, and loving watching ER (even at just 3 yrs old). loving on her dolls and being a good mommy to them, and then later loving on her baby sister and being a great big sister to her. wait. did i mention the never ending chatter that came out of my little girls mouth? you'd never know a girl could find that much to talk about. and here she is, a teenager. thirteen years old. still my little girl in some ways. such a petite thing, she is. but like i tell her, big things come in small packages. and she's a good kid! sure, we have our moments. she's a sassy thing, and can whip off sarcastic remarks like nobody's business. there are several times a day that i want to give her a little whack upside her head. lol! and you should see this girl roll her eyes. she has an amazing eye-rolling talent, which is usually aimed at me. but she's also super funny, and always laughing about something. she's incredibly smart, and so responsible about her homework and staying on track with what she needs to do. she is awesome with kids, and loves to work with them. she is just a very sweet, caring girl. we're so proud of her and all that she's becoming. and here are some fun facts about alyssa, at thirteen. i asked her to answer all these for me tonight, and here are her answers. happy birthday alyssa!!! we love you! finally took some photos of my new scrap space. it's all been moved for a week now. but i'm still playing with it a little bit. finding what works for me and how i scrap. moving some things here and there. but i'll share it as it is right now. this is the view walking into the room. it's a fairly small downstairs bedroom. it was originally my scrap room, for the first 5 years that we lived here (you can see a peek at it HERE). then i moved upstairs for 3 years. now, i'm back downstairs. my reasons are simple. i'm just not as productive as i could be when i don't have my stuff near me. my scrapping has changed so much in the last few years. 3 years ago, it was whatever i wanted to scrap or work on. and nowdays, i'm working on assignments and deadlines. sort of like having a part-time job. which i'm loving more than anything. but i also have a full time job. i work at home. but i work downstairs. i'm downstairs at least 10 hours a day with the daycare kids. i would drag things down each morning that i thought i would work on in my free moments or during naptime. then i would run upstairs at least 10 times a day, getting things that i forgot. then i would accomplish nothing, because it's hard to do that much, if the majority of your stuff is upstairs. so i would drag it all back up each night. then the girls would be sleeping, and i still wouldn't get anything done because i didn't want to wake them up. it was just making things more work and wasting a ton of energy dragging things all around the house. it was exhausting. so i decided to move. now my stuff is all downstairs and near me. i can run in the bedroom at any given moment. no running up and down the stairs, trying not to wake a napping kid or a sleeping joe (who works nights). the only thing i would have to go upstairs for is my printers, or my finished albums. after just one week of having my stuff moved, i can already tell you how much more i'm accomlishing and how much more less stressed i am while doing everything. i love it! so, on with the change. this is walking into the bedroom. i have 2 of the ikea expedit shelves, just like i did upstairs. i already had one of them in here, with finished albums, cd's, dvd's, and all the girls electronic game stuff. so i basically was able to swap everything from one shelf to the other. then we decided that rather than trying to take apart the other shelf to bring downstairs, that it would be easier to just buy another expedit shelf (they're huge and can be buggers to put together). i had a small scrap sale a few weekends ago, and made enough cash to buy a new shelf. so now we still have the 2 shelves upstairs, and then 2 in here. other than those shelves, i basically have room for a desk. not the huge island that i had before. but a decent sized desk. and i really wanted it away from the wall, so that i could have my back to the window and face the door. i have this weird thing about having my back to the door, always worrying about someone sneaking up on me. i think i watch too many lifetime movies. lol! i'm trying it out, but i may move the desk under the window if i don't like it enough. this shelf was the shelf that was already there. it's to the right of the desk, if you were sitting at the desk. with your back to the window. lol! i moved all my pattern paper and cardstock down first, so this is where it ended up. the idea books came next, so those ended up on the top row. i have 2 rows of baskets on the bottom shelves. holding more paper, paper scraps, and a few bins of alterable items and odds and ends. i had the 2 black magnetic boards from before, and added the silver magnetic board that i've had tucked away for years. i stole a chair from the kitchen. too bad it's not black. and too bad it doesn't have a cushion. i've been standing scrapping for 3 years. so i'm really not a big sitter. but at the same time, it's SO nice to be able to sit if i want too. i've missed having that option from time to time. the other shelf is directly in front of the desk. so if i was sitting at the desk, i would be looking there. in the corner, i have a pack-n-play tucked away. guess i could stick that in the garage for now. this shelf holds most of my embellishments and stuff. the top row is some jars. i used to have that entire shelf of jars, but that shelf wasn't going to fit anywhere in this room. so i really cleaned them out, and condensed stuff down. i have some larger jars on the other expedit shelf. and somehow my large ribbon jars ended up in the playroom. but they look good out there, so i might keep them there. this top row holds the rest of the jars i have. i stuck a storage box in the back of each shelf, with photos and things i don't use much. that way, i could place a few jars higher up where i could see them. works for now. then i have rows of baskets. 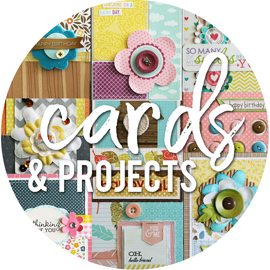 holding embellishments, chipboard, alphabet stickers, etc. if i was sitting at the desk and looking to the left, i would be looking out the door. the door that i want to be facing, so that no one ever sneaks up on me. i will see them coming. lol! if you look out the door, you can see a little bit of the scrap island. and my wall of photos. the other wall has a closet. i havn't had a closet in 3 years. so i'm actually loving that i can tuck stuff away in there that i don't necessarily use all the time. i havn't actually cleaned out most of the closet. but i did have 4 of these stacked drawer towers in there, 2 on each side of the doors. i went through and cleaned some stuff out, and condensed it down to just 2 stacked towers. so i had 2 whole ones to fill up with stuff. i have paints (which could go back on my paint shelf, if i decide to hang it back up), extra adhesives, die cut tools (all my slice stuff and cuttlebug stuff, along with my quickutz stuff that i never use), punches, stamps, inks, embossing stuff, etc. i can just turn to the left of the desk, open up the closet, and all this stuff is right there. but it's stuff that doesn't get used enough to require it to be out all the time. what scraproom would be complete, without a few pairs of stinky soccer cleats?!?! like i said, i havn't actually cleaned out the rest of the closet yet. so these are sitting right next to my cuttlebug. my poor cuttlebug doesn't deserve such torture. and oddly enough, i'm about 97% sure these cleats don't even fit the girls anymore. so i'm not sure why they're important enough to be taking up closet space. and when you walk out, here's the scrap island. which now resides in the playroom. which is really the dining room area in any other normal house. i wasn't sure what i would do with the island. and then my friend, deneen, said i should put it in the playroom. and i said "you're crazy". but then i thought about it, and it wasn't a bad idea. there used to be a couch here, and a super old coffee table. this island doesn't even come out as far as those 2 items did. although it is taller, so it does actually take up more space in some way. but there is still a ton of room for the kids to play. i'm not putting my scrap stuff on it, mind you. the little ones would get into that stuff. i figured i could put the toy baskets along the one side. the ends are empty right now. and the backside is perfect for storing the girls school backpacks, soccer bags, and instruments. although i do see a backpack sticking out in this picture, usually they're tucked in. then we took out the 3 oak shelves we had against that wall with the enlarged photos of the girls. they held all the toys and toy baskets. and in it's place, we brought down the red cabinet that was upstairs. it's actually a really good sized cabinet. on top, you can see my huge ribbon jars. they were too big to put anywhere in my room, so i stuck them up here. and i think they look cute. sort of decorative. and inside, we have all the toys. not the ones that all fit nicely in baskets. but the toys. like the larger cars, the little people stuff, the toy computers, the baby dolls, the little tikes toys, the little dollhouses, stuff like that. then i can just open up the doors, and the kids can grab what they want. sure, the doors stick out while open. but it's not a big deal. what we're really liking about this, is that we're not constantly looking at toys. it was different when the girls were little and played with these same toys. but they don't anymore. so it's super nice to have things a bit more hidden when the daycare kids aren't here. and so far, the little ones are digging the change. it's good for them. i'm sure they're tired of the same old setup after all these years too. i figured that this would make for some great, new storage. but i also figured it would be a great spot for the girls to spread out and work on homework or projects. and when my desk in the scrap room isn't big enough, i can easily come out here to the island. and i'm finding that i'm doing a lot of my work out here. the kids can't reach up there to begin with. so if i spread out some stuff, there's no rush to pick it up. and at naptime, this is a perfect spot to work. i don't have to cram myself into the kitchen, and move the stuff that is already there. i can just spread out here. it's close enough, that i can see nikolas sleeping in the family room from where i stand. and i can hear haley upstairs where she naps. and it's right next to the scrap room. so it's just a few steps away for getting things here and there. i'm finding that i do most of my paper and photos parts of layouts out here. but then i go in the bedroom to embellish and stuff. it's working out so well. so, there you have it. this is what we spent 2 weeks working on. and it's finally all coming together. we have a big, empty space up in the loft. we have stuff up there, but it does seem bare without the big island. seemed really weird at first. but now the empty space, and the roominess of it is really growing on us. we figure we'll take our time figuring out what we're doing up there. i'm going to totally switch gears for today. i think it's absolutely crazy that halloween is almost here. to be honest, i havn't thought much about it yet. we have a certain someone's birthday this weekend (wink*alyssa*wink). so it's not fair to think about halloween until after her big day. but i do have some halloween projects that i never did share. for anyone that actually plans ahead (certainly NOT me) and needs some ideas. 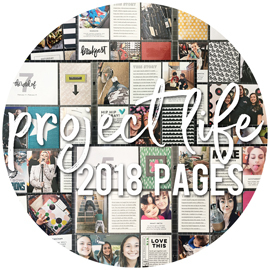 i made these projects last year for making memories. they were originally made to be demo's on a local utah morning talk show. cool, right? they put a lot of their video segments on their website. sadly, this one was never added. so i never got to see my projects on the air. then they decided to also include them in the slice inspirations box, which was cool. these were all made using last year's halloween collection. but could easily be done with this years spook alley collection too. i made the invitation using a kit that included the tag shaped invite, the overlay, and the envelope. then i cut the pumpkin and the tree using my slice. then just added some simple embellishments. i love these little clear paint cans. i die cut the label, the circles on top, and the pumpkin using my slice. layered everything together with lots of pop dots and added some ribbons and puffy alphabet letters. oh yeah, and i filled it with candy! these were so adorable, if i do say so myself. they're super tiny little buckets, about 2 inches tall. i found them in the dollar spot at target. but keep in mind, that was last year. lol! i had some small styrofoam balls, and i just cut them in half and shoved them down in the bottom of these buckets. then i stuck the tootsie pops in the styrofoam. the pumpkins were die cut using my slice, and layered with some glitter foam pumpkin stickers. a little ribbon and a tag finished them off. finally, i have something scrappy to share. this layout went up on the jillibean soup blog today. this was my last official layout that i made in my old scrap space. now i'm scrapping in the new space. i know, i know. i need to quit talking about my scrap space. lol! although i will be sharing some photos of all that in the next few days. i had taken these photos of alyssa back in june and hadn't done anything with them yet. sometimes i think i hold off on the photos i love, because i'm not sure i can do them justice when i scrap them. lol! i actually used the new grandma's christmas soup papers on this layout. i just love that green and that pink paper. certainly not just for christmas. and a close up of the journaling. i stared with an entirely different title, and was journaling about something else. but it sort of sounded like a lot of my other layouts. then i typed something about how we had curled her hair. and i ended up switching gears, and the title while i was at it. i forget to get these little moments down sometimes, so i'm glad i did this one. since i'm big on showing photos of huge messes the last few days, how about one of the girl's messes? i found these photos from back in july, while they were on summer vacation. they don't play with toys all that much anymore. but every once in a while, they will take out something and play with it for a week or two straight. this time it was bratz dolls. they will take out every single bratz doll, item of clothing, shoes, furniture, and cars that we own. which apparently, is a LOT! what you see in these photos is only half of what they actually had going on upstairs. and they spend a ton of time setting everything up and deciding who will have what dolls. it's like a whole little world. shopping centers, a school, houses and rooms, and even a party bus. and each tiny little accessory is set up just so. if any of your daughters are missing a certain shoe or shirt, i'm pretty sure my girls have it. lol! and i find it amazing that they actually know all these items. "where is that brown boot? you know, the light brown boot with the dark brown heel and the little strap?". i'm not sure how they manage to keep track. but they do. and then they actually play with this mess every day. for up to a week or two at a time. during this particular time, they went 5 nights straight without even turning the tv on. they would just sit up there and play together. it was so nice. since my girls usually can't sit anywhere near each other without fighting. and they also usually like to have the tv on. lol! this also means that we're stepping on bratz dolls and stuff for a week or two straight. it was so spread out, that you couldn't get through without stepping on something. but it was all good. and when they decide they're done, you'd be amazed at how quickly they can pick all that up. yesterday, we moved the scrap island from the upstairs loft to the downstairs. since we were taking it apart, i figured i would take a few photos to give you all a peek inside it. i get asked about the island all the time, and how it was made. i have a post all about it HERE. excuse the cruddy photos, i was too lazy to go get my external flash. it's basically 4 shelves that fit together end to end. this photo above shows 3 of the shelves in place, i had already pulled out the tiny end shelf. and then the counter top is placed right over the shelves, holding them all together. so that center part is actually empty space. we joke that we could store stuff inside there. stuff we wouldn't need to get too for years. lol! these were buggers to get downstairs. that longest shelf is 8 feet long, and the other large one is about 7 feet long. our stairs are a pain, because we have this 180 degree turn at the landing. and not a lot of room to groove. but we did it. joe and i took the island apart, took all the pieces downstairs, and set it all back up. and we did it in under an hour. and only a few nicks on the walls in the process. lol! the girls were watching tv on the other side of this island, and didn't even realize what we were doing. didn't even phase them that we were doing all this work. it's not like they were that far away from us. you can see the tv in one of the photos, and you can see sarah in the other photo. amazing how they can tune stuff out. when we were done, they turned around and said "what the heck?!?!". lol! you all know i've been working on moving my studio downstairs, right? i started 2 weeks ago, and have been making a lot of progress. also doing a lot of cleaning and purging. but today you could really see it all coming together. sort of. i could see it. and it's everything that i knew it could be. and the family? they weren't quite getting my ideas. but now that they're seeing it all happen, they're seeing my vision a little clearer now. here are some quick photos i took today of some of the behind the scenes stuff. just noticed this. you can see the time pass in a few of these photos, since they show the clocks. lol! 2:30 in the new scraproom, 5:30 in the playroom, 6:50 in the playroom. kind of funny. lol! this has been a ripple effect. to move one thing, i have to move another thing. and to move that thing, i have to move yet another thing. there's furniture that we've had for years and years that is being passed on to other people. and we're reworking other furniture to new areas of the house. re-purposing everything in new ways. it's fun to see the same old stuff, but in new ways. i'm loving it. have i mentioned that i still don't have my laptop back? it's been over 3 weeks, and it might be another week. they thought it was fixed and gave it back to me. turns out it wasn't fixed and i sent it back. now they're waiting on a new screen. just stinks. so much harder to do things efficiently when you're not on your own computer, with your own programs, and your own bookmarks. anyways, i dug out the external hard drive so that i could share this. 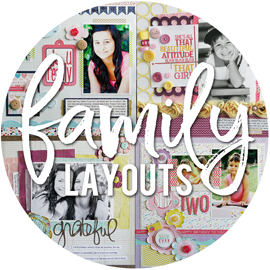 this layout went up on the jillibean soup blog today. this layout started out a lot different in my head. somewhere along the line, i decided to lift myself. THIS has always been a favorite layout of mine. i had other plans to embellish this. and then my laptop went down. and for some reason, this threw me off my scrappin game. i couldn't even print the journaling for a few days. but it's a layout, and i still love it. alyssa loves "twilight", and i wanted to get that down on a layout somewhere. she had borrowed the first book from the library, quite a while after this all started becoming so popular. then she blazed through the first book, borrowed the second book, and then we bought her the third and forth books. of course, she has all 4 books of her own now. she has read them all two times through. she wears her twilight shirts at least once or twice a week. she has collectors books and trading cards (thanks to her dad, who gets them for her without her even asking!). i can't even tell you how many times she's seen the movie, and she's waiting so patiently for "new moon" to come out. she also has posters in her room on the walls and her closet. and haley naps in there. every time i go to lay her down, she tells me "i don't like that man". she's referring to the big poster of jacob. i guess i can see how that might be scary to have a vampire dude staring at you while you're sleeping. lol! he's a vampire, right? sorry, i know nothing about this stuff. thank you wendy and sasha - jacob is a werewolf, NOT a vampire. lol! i knew that didn't sound right when i typed it. so i take it off the wall (it hangs on a cord). and every night, alyssa hangs it back up. lol! havn't shared anything about the daycare kiddos in a while. might be because i havn't taken any photos of them in a while. my camera has been ignored lately. i don't like that, and decided to brush the dust off it for a few minutes today. because i had to get some photos of these two. as i was pulling up this photo, i realized that i did in fact take ONE photo in the last 6 weeks of haley. and she was wearing the exact same shirt. lol! just a funny sidenote. so haley shows up today with not one, but two tattoos on her arms. she has these from time to time. her and her dad love to put the tattoos on her. you were probably expecting a butterfly or a heart, right? not haley. she goes for the bolder choices. i'm hoping those come off pretty easily. she's in a wedding on saturday. lol! then nikolas showed up. he walked in wearing all these smiley face stickers. he had 5 on his right arm, and one on his forehead. it was so stinkin cute. man, aren't those little hands and arms just calling out to be squeezed? i tell him about 83 times a day how cute he is. at one point, he was hiding behind the rocking chair. i think he was trying to get away from haley or something. then he stayed back there for a while, and was really quiet. he finally came out, and he didn't have any stickers on his arm. i asked him where they were, and he said "on the chair". i forgot all about them. and i'm thinking he forgot about the one on his forehead. lol! i'm not making this part up. he wore that sticker on his forehead for over 2 hours. i was constantly laughing, because it was so funny. he even wore it during snack time. i finally took it off when he laid down for a nap. nikolas also started bringing a backpack with him. i keep all the diapers and stuff here, so he never came with anything. now it's so cute to see him pull out all this stuff that he decided important enough to bring. he's been packing some snacks too. probably after watching big brothers and sister pack their lunches. here he's snacking on pretzels. and right before nikolas left today, i was cleaning up toys on the floor. and i spotted 5 smiley stickers all lined up on the back of the rocking chair. i reminded nikolas that he left his stickers there. he disappeared behind that chair for a few minutes. and when he came out, he had all 5 stickers lined back up on his arm. i offered him the one for his forehead back, but he didn't want it. lol! remember this that i shared a while back? 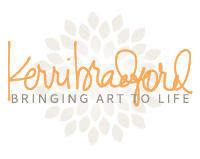 i was so excited when i was contacted by creating keepsakes magazine, asking if i wanted to have my studio featured in the creative spaces article for the august issue. of course i would! i didn't actually change anything in my studio for this article. i did clean it though. meaning, i dusted every nook and cranny. even though i doubt it would have shown in the photos. lol! i was taking my own photos for this, and i think that was the hardest part. i have terrible lighting up in the loft and i was having a hard time getting good photos. i'll be honest. i think i took over 500 shots, just to get the ones you see here. lol! then i did all the writing. i'm proud to say this article is all me :) figured it's about time to share more details with you. remember, click on any photo and you should be able to see it larger. so this is my studio. this is our upstairs loft area. i actually took this photo from the top of the stairs. so when you walk up, this is what you see. i have the master bedroom and alyssa's bedroom behind me. and sarah's bedroom and the girls bathroom to my left. in the right corner, is a television and computer desk for the girls, and a big comfy chair. my island. the piece of furniture i get asked about the most. sorry, you can't buy this anywhere. it was custom built by my talented mom. yes, my mom! i did a whole post about it HERE, so you can check that out if you want all the details. the side of the island you see is actually the girls side. so i did stage that side for the photos. a lot of that stuff is from my side, the side that didn't really show in the pics. my paper storage. my paper goes about 2/3 the length of the island, on the back side. i have my cardstock stored in the horizontal paper trays. most of it is organized by color. i store all my pattern paper in the vertical paper holders. i sort everything by manufacturer. it's the easiest way for me. i could never sort by color or pattern type. but that's just me. i know my paper by who makes it. and that is how i find what i want, just by knowing who makes what. on the far end of my island, i have these metal mesh baskets that i got at target. they're a size that would hold cd's. these hold mostly making memories embellishments, for design team work. and personal work, of course. i keep the most current collections seperated by basket. so if i want halloween embellishments, i can just pull out one basket and i have everything in there. if i want the travel collection, there it all is. i also keep extra ribbons, and some chipboard here. this shows my ikea shelves and embellishment shelf. i love my ikea expedit shelves. i have 2 of the large ones side by side. so i have 50 cubes of storage. the embellishment shelf was also built by my mom. i drew up the dimensions according to what jars i was planning on using. it's only 6 inches deep, just enough to line up a ton of jars. on the ikea shelves, i have a few different types of baskets. the wicker ones are just from michaels. and i have metal mesh baskets, and black metal mesh baskets. both styles are from target. this is where i get a little random. some things here i store by manufacturer. i guess you could say the main manufactures. i just know their product, so i keep it all together. but there are also things i store by product type. like i keep most rubons together in one basket. but i also have rubons within the manufacturer baskets. so there is no set pattern for me here. i just have a way of knowing what is where. i keep most of my chipboard together. although i do have making memories chipboard elsewhere. and american crafts chipboard letters elsewhere. but the rest of it it pretty much kept in one spot. or should i say 4 spots? lol! once again, i'm big on taking things out of their original packaging. just takes up less space, and makes it easier to dig through. i love this shot. my making memories carousel's. this is where i keep my most used tools and adhesives. i have one that is entirely for new products, things i don't want to forget to use. and the girls keep some stuff in one too. my computer area. i keep my laptop downstairs during the day, since i'm with the daycare kids all day. but my mom built me this simple desk to work at, and keep my printers. i use the dell printer for all my regular printing. and my awesome photo printer is strickly for photos. i also keep my slice die cut machine here, and my cuttlebug. down on the floor, i have some boxes that store extra printer paper, photo paper, inks, etc. this is above my red cabinet. which my mom also built. it has doors on it, so this is the only area that i have to hide things in and close up. lol! there's no closet up here. so in this cabinet, is where i put things i don't want seen or don't need often. i have a sewing machine in there, extra albums, loads of page protectors, alterable things that i might use for projects down the road, etc. then on top of the cabinet, i have these huge glass jars. also from target. i have other jars on the embellishment shelf with ribbons. but these are my big collections. two of those jars are making memories ribbons, and one is american crafts ribbon. then i have a few other things up there. a jar of thread, a small shelf with ink pads. the stamp shelf was a fairly recent addition to the room, i think eariler this year. it was another one of those "i have some wall space to fill up" kind of ideas. the stamps used to be in baskets. but the space was there, so why not display them in a decorative way. and here is what the other side of the room looked like during the process of me writing this article and taking all the photos. lol! that's our big comfy chair, which got moved about 15 feet back and in front of the stairs. the extra dresser came out of alyssa's room a year ago, and has just never found a new home. it got pushed to the side, and covered in stuff from the girls side of the island. you can see alyssa's room back there. i had to actually stand IN her room to get a shot of my entire space. using my kit lens, which was the only way to get it all in the shot. and the television is inside that corner cabinet. not built by my mom, but stained by her about 10 years ago. lol! and here is more of the girls stuff that i took off their side of the island for the photos. they're side isn't quite as pretty as my side. no offense to them. lol! here we are, 10 or 11 days into september. and i've blogged all of 4 times, including this post. pathetic. i have excuses and explanations. but that doesn't do anything for you all that come so faithfully to read my blog. lol! figured i'd better stop by and share something. dug out these soccer photos. this was from the girls first games, about 3 weeks ago. both girls moved up an age bracket this year. we have alyssa on under-14's, and she's on the pink panthers. do you like her uniform? she doesn't. i don't. you would think that with all the pretty colors in the rainbow, that they could come up with a few good colors for the teams. how on earth did they get this awful, baby pink jersey? with a baby blue stripe to top it off. and there are pink socks too. there was a team with this color last year. and every single time i saw them, i would comment about how ugly their uniforms were. serves me right, i guess, that we should end up with this color. lol! moving on. we have sarah on under-12's this year, and she's on the arsenol. black uniform, with red flames. can't find anything wrong with that. except that it's not the best color to be wearing on the hot days that we have. so it's the first game. and i bring my camera. and i actually take out my camera. which i didn't do much last season. i would bring it, but not use it. sadly, my 75-300mm lens (or is it 70-300mm?) isn't focusing. at all. which just stinks. because the fields are huge, and the action is always on the other side of the field, right? lol! i had to use my other lens, which didn't get me great shots. i gave up rather quickly. still havn't checked what's wrong with the lens. i'm not sure i want to know. i was asked to contribute to another sketch for the got sketch blog this past week. if you're into 2-page sketches, valerie just announced a super fun online class. check the blog for all the details. here is my take on sketch #90. be sure to check out the other contributors and the great layouts they came up with. first up, i'm excited about THIS. i was very honored when heather asked me to be one of the girls on her dream team for her kit club at scrapbook bakery. i have worked with her monthly kits before, and they're always a lot of fun. she's working on a new and improved kit, starting in november. so keep your eyes out for it. i still don't have my laptop back. this bums me out. they said they're waiting on a part and that it's coming from back east. but they also said there's no way to track this part or when it will arrive. it's been almost 2 weeks, and i'm starting to lose my patience. i'm getting by with the girls laptop, and i'm thankful we have it. but i also would be so much more efficient on my own laptop. i've been sick for the last 2 days. some sort of stomach bug. really knocked me out, and i feel like i just wasted 2 days doing a lot of nothing. i did manage to get out and take the girls to the movies today. went to see "bandslam", which i thought was a cool movie. although there was a lot of loud music in it (hence the title "bandslam"). which would have been totally fine with me, except that i wasn't feeling all that great. lol! something has changed with typepad and how i get the comments sent to me. and i havn't figured it out yet. i like that i get an email for every comment, and that it's really easy to reply to everyone through email. but now, it's not giving me that easy reply option. it's bugging the heck out of me. and i'm not sure if it's something that got accidently changed in my typepad account. just know, that if i don't reply, it's only because it's not as easy for me to do it right now. i just love the soup staples pattern papers. when the papers are all out on my desk, they remind me of a rainbow. so i cut strips of the main colors for this card, and lined them up in rainbow fashion. i was going to spell out "color" in different color letter stickers. but sadly, jill hasn't designed blue letter stickers yet. lol! so i went with straight red. that's it for tonight. i'm still recovering from last weekend. i went on a fun, exciting, new adventure. i can't say much about it yet. but know that i totally would if i could. i'm still trying to get back on track with everything else going on. scrapping like crazy. nothing i can share yet, but know that i'm scrapping. getting up early every day this week for the cutie pattotie daycare kids and my neighbors. i detest waking up early, but i'm willing to do it for them because i love them all. running all over with the girls and their activities. soccer, beginning band night at school, and an 8th grade parent meeting about requirements for graduation. first off, graduation? i can't think about that yet. second off, i'm not sure if i really need to go to that meeting. i have no worries that alyssa is far exceeding her requirements. lol!